This is our primary E-newsletter that we use to inspire, refire, equip, train, empower, teach, and encourage the saints of God around the world. You'll receive Tim's intenerary and notifications of major ORT events and access to power training tools. This newsletter also serves those connected to Watchman Ministries International and Kingdom League International. 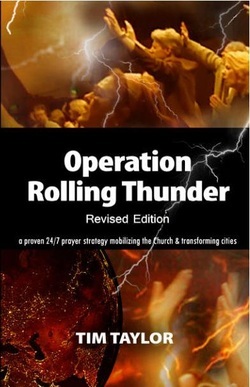 If you are a ministry leader, a prayer leader/coordinator, a mobilizer or a connecter in your community and you plan to use ORT to mobilize your community then you'll also want to sign up for a special newsletter for "CONECTers." These are leaders who oversee the strategy in their local church, city, county, region, or state. Click here to register your congregations, churches, or cities involvement. Click the book and order your copy to day! Join the movement to build the mountain of the Lord's house of prayer for all nations.